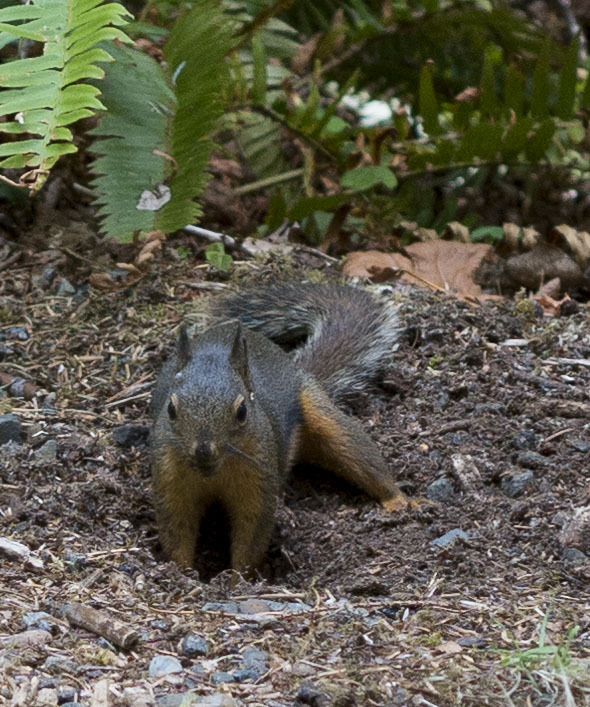 I was just in the Hoh rainforest where I witnessed this squirrel digging for treasure. The energy and certainty with which it dug was envious…and there was something I recognized in his industry. In contrast, my time in the rainforest was very spacious. I read a book and when that was done, I did some drawing and coloring, and then I did nothing. Which is not a habit of mine. When I returned home and prepared to re-enter my busy life, I felt a great sorrow. A longing. 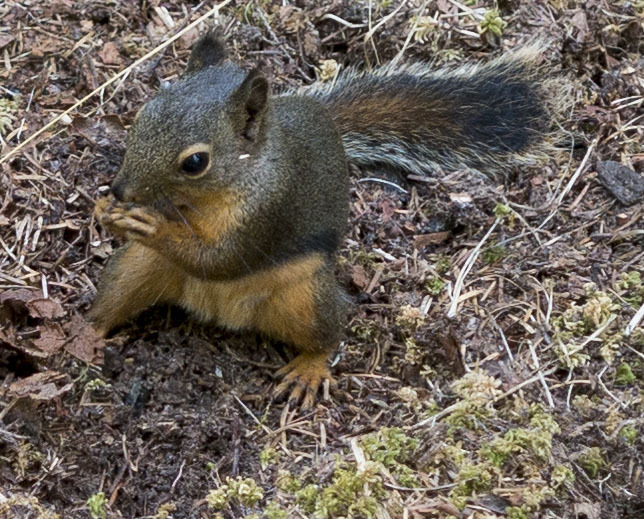 And I couldn’t determine what prompted the melancholy until I thought of that squirrel. Before I discovered that I am a Maker, I dawdled on my days off. I walked to the grocery store, I bicycled to the park and read and wrote and napped. I didn’t have a garden or a list of projects and I didn’t go dancing. I had more leisure. Two days after I returned home from the Hoh, I came down with a fever which then blossomed into a cough, both of which necessitated stopping everything. No reading, no internet or computer work, no “busyness”. I slept, then slept some more, and, when I maxed out on sleeping, I thought. And though I can’t say it was pleasant being sick, it was just what I needed. I had days to ponder what was subverting my leisure. And what I discovered is that I had turned my time away from work into work. It wasn’t leisure at all. I was trying to turn my making into a business called “Etsy”… an online shop that I was very excited about. But the actions to create a successful shop were not really exciting to me: extensive self promotion, regular contact with social media, gathering and storing shipping materials. Oh, and the making! Sounded like a good idea, but making for profit is not the same as making for fun. I was digging and digging for treasure, but only coming up with discontent. The truth is that I already have paying work that is creative and diverse. I have job freedom because I am self employed which means that my work life is arranged however I want. So why did I want more? Pesky little ego problem. I wanted recognition. So I was willing to squander away my precious hours in order to (maybe) get a little notice for my multiple talents. Well, it’s an inside job. All the accolades in the world won’t fill that gaping hole if there isn’t first self recognition and validation. And what better way to turn that around than taking back my leisure?